This model generates a non-ideal block wave. The steepness of the edges are defined by the rise time. 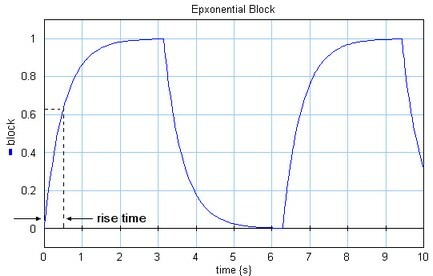 The rise time is defined as 63% of the amplitude being reached.